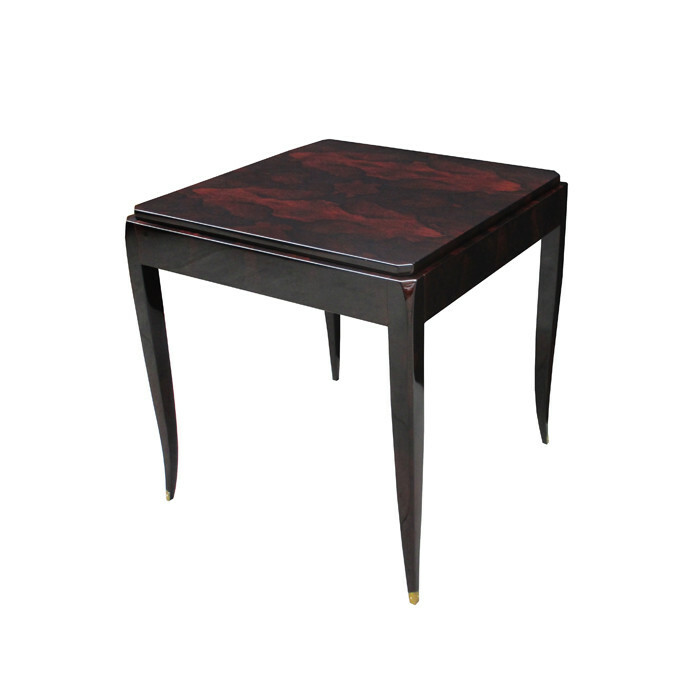 An Art Deco game table with reversible top. Rio Palisander with leather playing surface on opposite side. Dimensions: H:28¼ W:27½ D:27½ Inches.